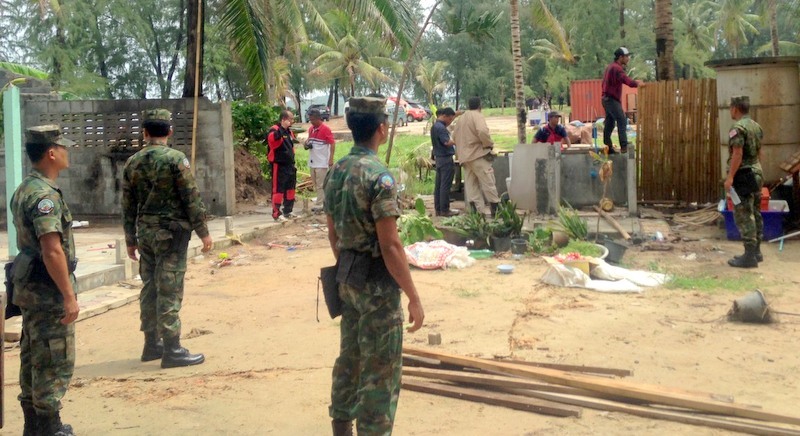 PHUKET: Officials began dismantling the last two beachfront businesses deemed illegal at Ley Pang Beach today (June 28) in a move heralded as precursor to returning the beach “to the public”. 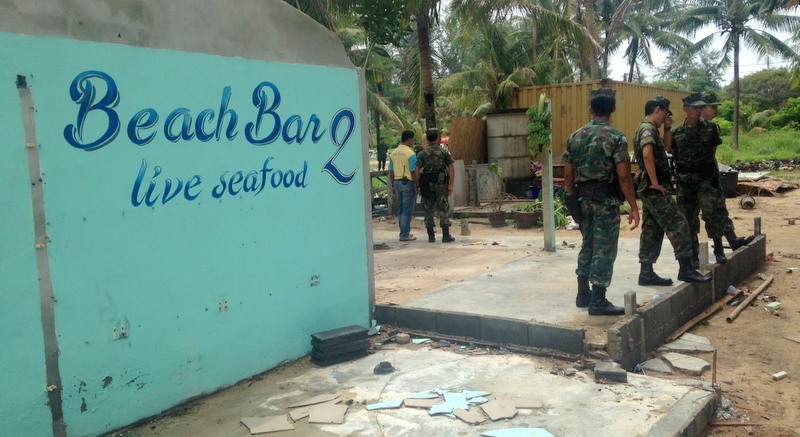 More than 100 officers, including Royal Thai Navy personnel, police and local officials, arrived at the beach at 10am and began pulling down the Beach Bar 2 and Paul Restaurant. 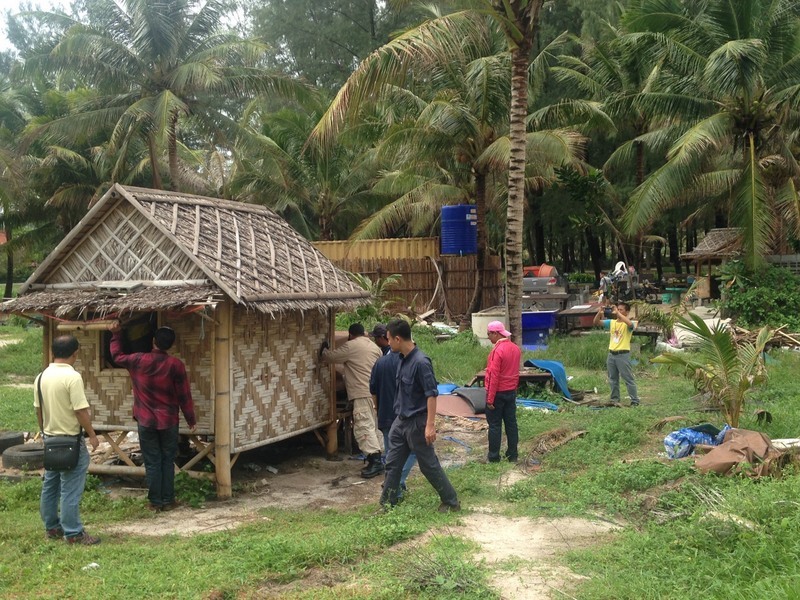 “We are following the order issued by the NCPO (National Council for Peace and Order) and the law to remove all illegal structures from the area,” said MaAnn Samran, Chief of the Cherng Talay Tambon Administration Organisation (OrBorTor). “We are removing these two buildings because they are encroaching on a public area and both are in breach of the Building Act. This area must be returned to the public,” he said. “But a few were left because the operators filed complaints at the Administration Court – but now all that has passed and the court has granted us permission to proceed with demolitions,” he said. “Once all the illegal structures are removed, we will redevelop the area while waiting for the the Land Office to issue a NorSorLor land document (confirming the land’s status as government land) for this 178 rai,” he added. 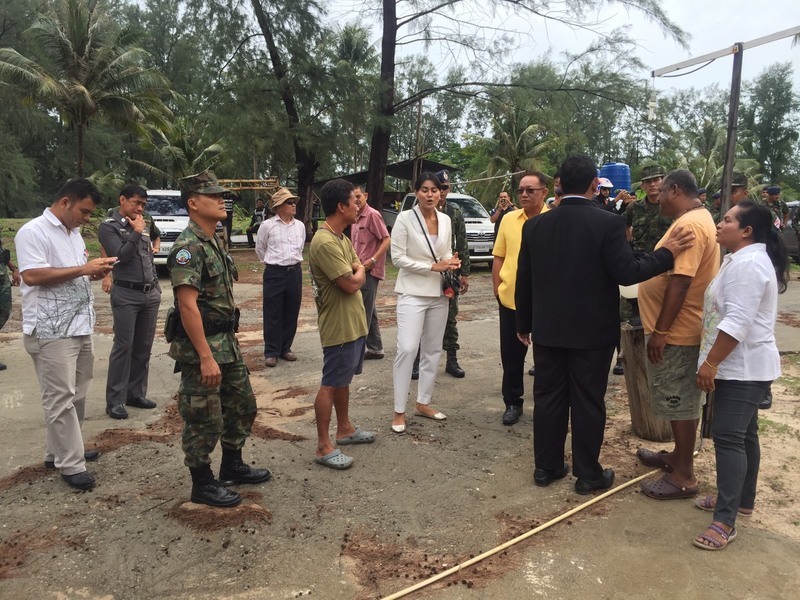 Chalermphol Thaworn, owner of Beach Bar 2, said that he wanted officials to at least be fair for all operators. “The beach organisation and the return of this area to the public is a good thing, I have nothing against that – but to demolish small businesses while allowing investors of hotels and resorts to stay and continue to make use of the area is what I don’t get,” he said. “It is not fair for little guys like us to removed from our place of work,” he added. I hope that the same diligence is put on removing sect based temples built illegally on public land in other parts of the kingdom.